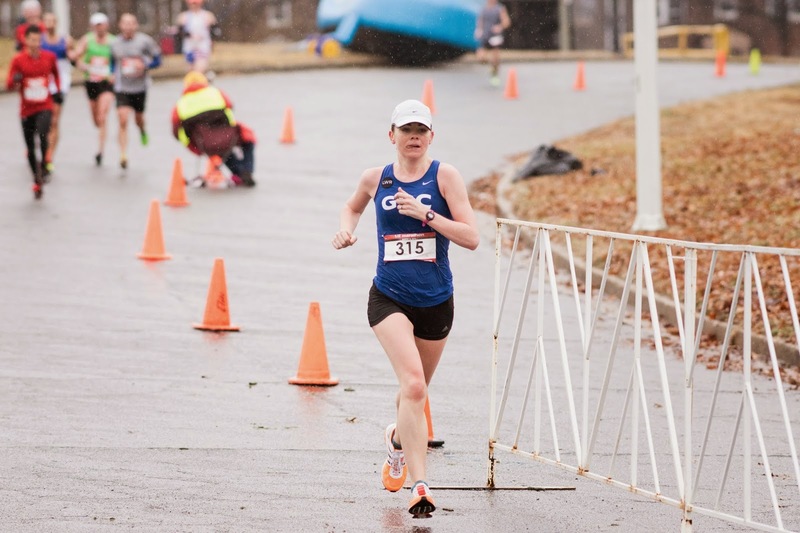 This is the second in a series of "non-race" race reports, but this time I went in knowing I wasn’t in racing shape and hoping only for a solid workout; that attitude made all the difference. Because of the rain, I didn’t wear my Garmin either. I know I probably could and many people do, but I just don’t trust it won't get ruined by constant splashing. I ran with a regular watch, so I have no splits to look back on and analyze, which is probably for the best. 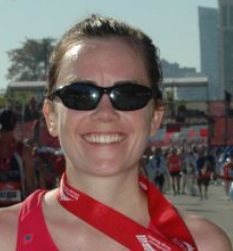 I ended up running with two teammates, Maura and Kristin, which was a pleasant surprise. 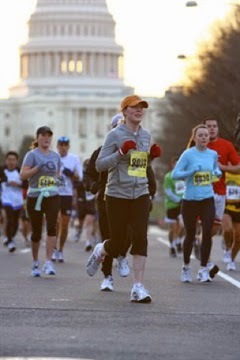 Maura was running her first half marathon and wanted to go out conservatively, which fit Kristin and my plans as well. I was nervous without a Garmin—I always go too fast in the first mile, and only 8,000 glances at my Garmin reel me in—but with the two of them we managed to hit the first mile right on our goal of 6:25. We kept on that pace until the Hill at mile 6, and then got back to it again after recovering from the incline. It was great to have them there to work with, and I felt a sense of purpose by helping (or I hope I helped!) Maura in her first half—it wasn’t going to be a PR day for me, but if I could contribute to her successful debut, then that was a win. By mile 9 or 10, she took off and I just tried to keep rolling, but honestly I think I lost focus. I wanted to be done with the stupid rain and all the puddles (so many puddles! It was like running through a small stream at times), but the end kind of snuck up on me. With about a half mile left (really only a half mile to go?! ), it hit me that I should probably GO and I picked it up enough to squeeze under 1:24. Sticking out my tongue for unknown reasons. Maybe at the nasty conditions? I had hoped for a slightly faster time, but wasn’t going to kill myself over that. And I know that I didn’t kill myself over anything—I didn’t give it my all and that was fine. My main goal was to not be as demoralized as Philly (last season’s half marathon “non-race”) and being realistic helped with that. The good news is I ran faster than Philly and it’s earlier in the season, so it appears I’m on the right track. I wanted a tough workout, and that’s what I got. The racing flats got dusted off (and subsequently drenched). Mission accomplished. I was really dreading this race because it was coming up so quickly and I knew I wouldn’t be ready for it. But now that it’s over I feel like I can refocus, settle into some hard training, and grind along for a few weeks before the first real race effort at Cherry Blossom. If it would just stop snowing…. Hey, weather gods, you know it’s spring, right?! Snowing on the first day of spring. Maybe spring will come tomorrow?